Many students appear to be continually connected to social media sites such as Facebook. Such social media sites can be pervasive in nature. The use of these sites through mobile devices often extends into the classroom, sometimes to the detriment of scheduled teaching activities. Further, many students do not seem to be aware of the negative effect that ill-considered information placed on social media sites can have towards their future employment. This chapter reviews the positives and negatives of social media as it relates to the future employability of students. Due to the changing nature of this field, the chapter is largely presented from practical experience, rather than a traditional academic research-led approach. Much of the focus is on the ways that students can present themselves online in a manner which should encourage employers to offer students jobs and placement opportunities. The chapter reviews a number of the major Websites where students should establish professional profiles. It also looks at the overall need for students to establish a professional presence online and show that they are a desirable employee. The chapter concludes by looking at the challenges involved with integrating the teaching of employability through social media into existing teaching. A number of research areas for further consideration are also presented. Student employability is an area of continued national interest within the United Kingdom. There are regular papers, reports and presentations released. Some examples include: Pegg et al (2012), Wright et al, (2010), and Banga and Lancaster (2013). These publications generally make recommendations about how to help students to achieve more sandwich year placement and graduate work positions. The views of academics on the importance of employability within the educational process often appear to differ. Some academics would seem to argue that receiving a qualification should be its own reward. Others would argue that the teaching of employability skills should be a core part of any academic course, inherent in both the structure of the delivery and the assessment. It can therefore be contested that the ultimate aim of any academic course, whether at university or college level, should be to position students into suitable paid employment. That is the view taken in this chapter, which is based around the experience of the author in course development, as well as in module design, delivery and assessment in order to position students within the UK for graduate employment. This chapter, deliberately, does not take a traditional academic approach. The technologies discussed, which largely relate to the role of social media within the overall employability processes, have developed during the production of this chapter. Many of the published insights by academics into this area take the form of non-traditional sources, such as forum discussions, blog posts and presentation styles. There are LinkedIn groups devoted to discussing this emerging area, for example OPEN (2013). The subject of using social media to enhance employability has regularly featured on the popular UK Employability Development email mailing list (JISCMail, 2013). The chapter approach chosen particularly owes thanks to presentations provided by Lancaster (2012a; 2013a) and Beckingham (2012; 2013a; 2013b; 2013c). The format of this book chapter represents the first time that the approach that those presenters have developed and advocate has been formally presented in a detailed written manner. The role of social media within the employment process often seems to be fiercely contested by academics. For instance, Bryant (2013) simply argues that employers should not be using social media in this way. That is not realistic. Social media represents a view of a student that is freely available to the general public. Employers qualify as members of the general public. Employers have to be expected to take advantage of all the resources available to them when making a decision about who to employ. The intention of this chapter is that it is intended to be useful for academics interested in teaching within this new area. As such, it provides an overview of the issues that should be explored with students during teaching, as well as the social media sites that students should be using. It is intended that this will provide an early contribution to this developing area of educational necessity. The chapter may also provide future support for further, more traditional, publications within the areas of social media use and employability. The primary aims and intentions of this chapter are to explore the ways in which the creation and use of professional presences, the set of social media profiles and web sites which represent students online, can be integrated within teaching. There are many options available showing how both staff and students can proceed with this growing area of online presentation. This chapter is intended primarily to assist academics with thinking about the methods that will work best for them. This can be positioned within an overall discussion about employability. 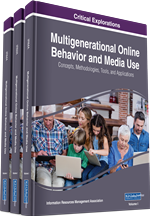 Specifically, the chapter focuses in on the core set of social media sites which will offer benefits to students regardless of their academic discipline or their plans for their future career. This can be supported by the subject knowledge that individual lecturers already possess in order to implement a viewpoint that is discipline specific. This is intended to be helpful for lecturers who are looking to develop their own teaching materials within this field.